This is still a work in progress and we will add regularly new descriptors extracted from the wine aroma wheel. Aroma Definition: Evokes the aroma of the vanilla spice used for baking purposes. Vanillin is the volatile compound responsible for this aroma. Origin: Oak barrel, especially made with French oak trees. Vanillin forms during the breakdown of wood lignins (Jackson, 2002 p. 52). Vanilla tends to be imparted when barrels are not overly toasted. Wine styles: Wine fermented and/or aged in French oak barrels. Vanilla aroma is not highly volatile and you may have to swirl your glass more than usual to perceive it in wine. I personally find it more present in barrel aged Chardonnays or Merlot. Aroma Standard: 1 or 2 drops of vanilla extract in 30 ml of white/red base wine. You may find this extract from the bakery counter. If you taste the wine, perception of sweetness may occur if the extract was sweetened. Note: Ethyl vanillin is an artificial molecule (i.e. not found in nature. 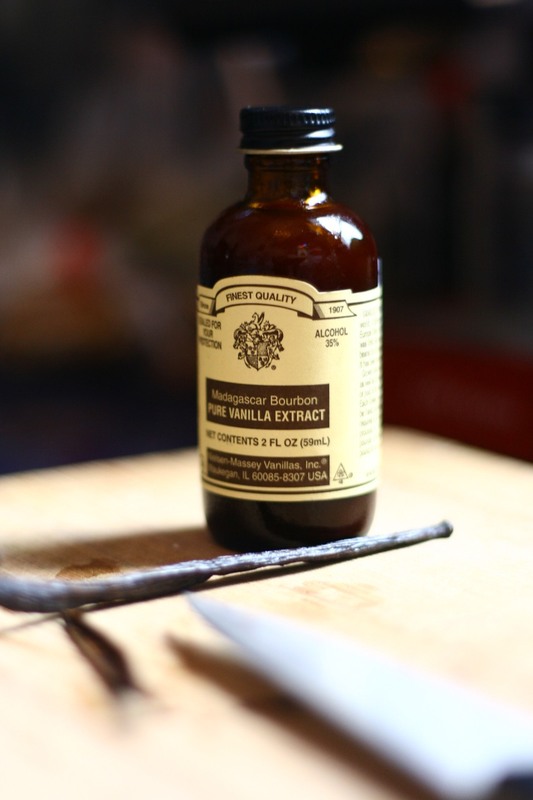 created by flavour chemists) to mimic the natural vanillin extracted from the tropical vine. They are very similar in quality however trained noses could take them apart. Aroma Definition: Associated will the smell of smoke generated by burning wood. Origin: Wines aged in heavily toasted wood barrels can elicit smokey aromas. 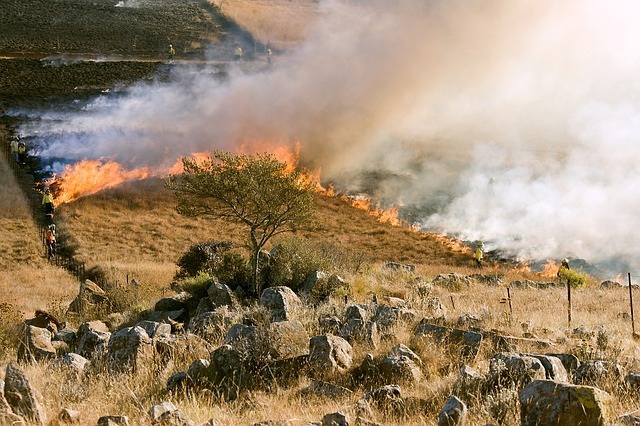 Smoky is however considered a taint when it originates from the grapevines exposure to wildfires, their heavy smoke passing over vineyards. 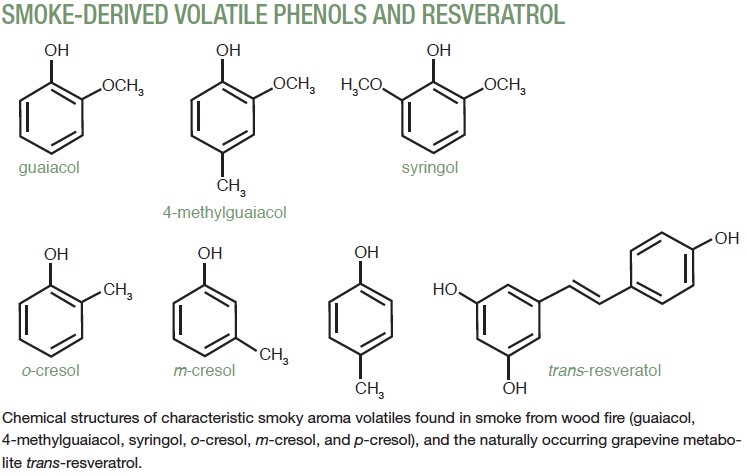 Compounds imparting smoky aromas are phenolic molecules similar to trans resveratrol, but with a very low detection threshold. This means that only few micrograms per liter can ruin a wine flavor. 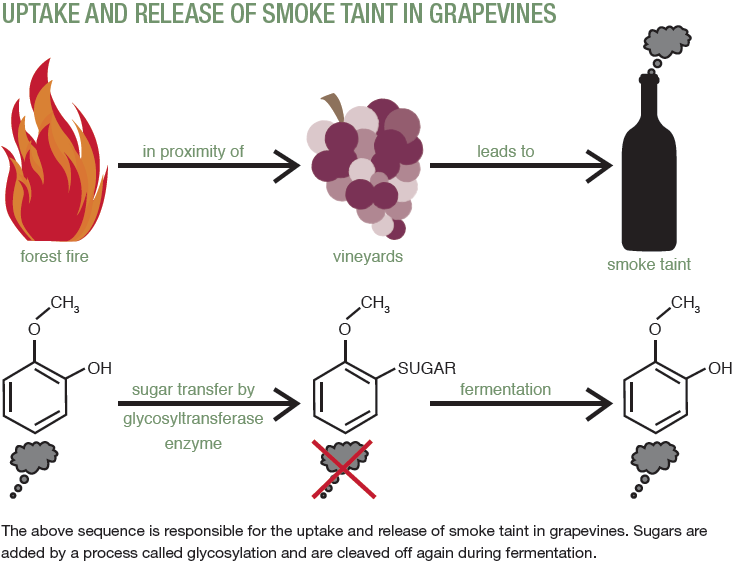 This article also provides explanations on how the smoky molecules bind with sugars and are released in wine. Wine Styles: This is a non desirable aroma. Aroma standard: guaiacol, m-creosol, and 4-methyl guaiacol are responsible for smoke taint. For homemade reference, you can capture smoke from a burning wood fire on a humid cloth and keep the cloth in a jar. Collecting soot may do the trick as well.